Photo Credit, Alexander Rapaport: Workers Unload What Will Be $100,000 Dollars Of Welch’s-Manischewitz Grape Juice From Tractor-Trailers. 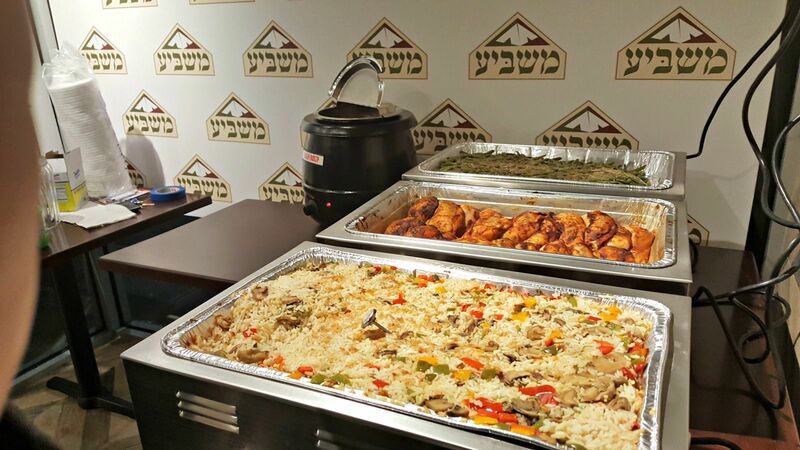 Alexander Rapaport, Owner Of Masbia Soup Kitchen, Is Not A Fan Of “Food Rescue,” But When A Tractor Full Of $100,000 Worth Of Welch’s-Manischewitz Grape Juice Pulled Up To Masbia’s Queens Location, Even Rapaport Couldn’t Deny That This Hanukkah Gift Was A Worthy One. The Grape Has A Sell-By Date At The End Of January — Too Soon To Be Stocked On Store Shelves — But Is In Perfect Condition. “Food rescue needs viable economics,” Rapaport said. If someone gives Rapaport a donation of unwanted challah by the end of the week, it’ll be devoured. Give it to him on Sunday and it’ll just sit there. Often manufacturers will dump extra, unexpired product in landfills, or they will reserve expired, unsellable products for soup kitchen donations. “Poor people are not garbage cans,” he said.